Combine mayonnaise, dill, capers and mustard in a small bowl. 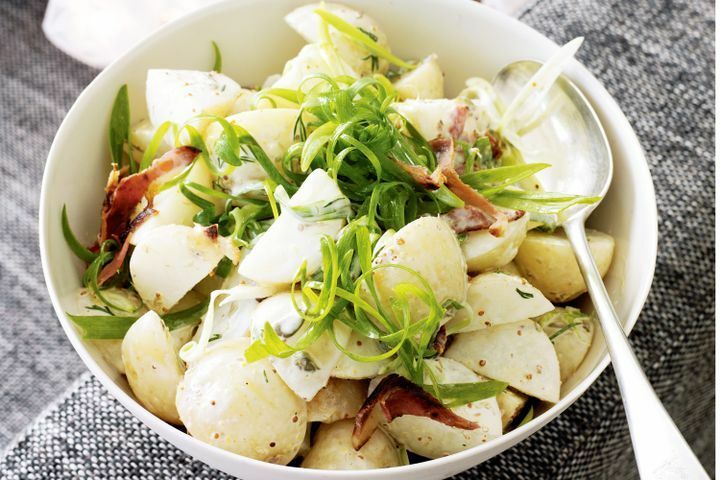 Place potatoes, pancetta and half the green onions in a bowl and add the mayonnaise mixture. Gently toss until just combined. Sprinkle with remaining green onions and serve.